Adventure socks, shoes or sunglasses? For all women with hearts of adventure. 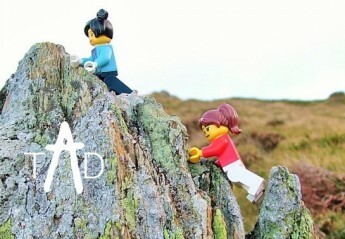 The Adventure Declaration recognises that there are women like us everywhere experiencing, planning and dreaming of different types of adventures. So, make your declaration to enjoy every second of every adventure and share your stories! Why I crave adventures is a really difficult question to answer, and to be honest not one I’ve really thought about before. No more than why I climb mountains (because they are there) or walk long distances (because I can). I was bitten by the adventure bug early in life. My favourite book when I was very little was ‘Around the world with Ant and Bee’ – about two unlikely friends who decide to travel the world and see fantastic places. From that point on any documentary I saw or image in a magazine made it on to a mental bucket list of places I had to see before I die. In my 20’s I made that bucket list real as there’s no time like the present to start ticking off must do trips. I was very lucky growing up as we travelled a lot and my mum’s fearless approach, such as taking us for a wander down backstreets in Luxor combined with my dad’s passion for history led us to a variety of exciting places. Sitting on a beach all day was never our style. 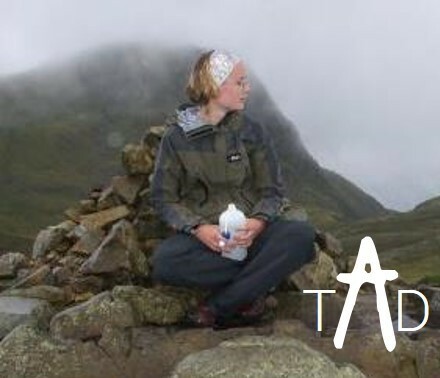 We’d hiked and camped a lot growing up and while I don’t remember the first mountain I climbed, at 17 I climbed Ben Nevis and made the decision that day that I had to finish my Duke of Edinburgh award before I got too old. I didn’t realise how life changing that would be, as the year after completing my gold I began volunteering to teach other young people outdoor skills. 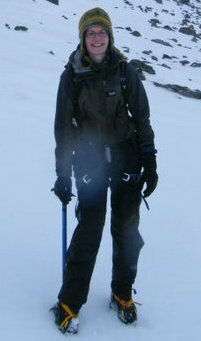 Over the next 8 years I became obsessed with ticking mountains off and working towards my Mountain Leader award. Any opportunity to escape with my tent was taken. I love sharing my passion for the outdoors – there’s nothing more amazing to hear on a Lake District mountain in the rain than a girl from inner city Manchester saying how magic it is to be able to touch the clouds. That said there’s also nothing more fantastic than seeing a group of unfit young people manage to survive 4 days carrying their kit over mountain passes and see the relief on their faces at the end. Adventures overseas, beyond just holidays to exotic destinations, started quite recently for me. My first was the Tour du Mont Blanc in 2012, a 170 km circuit of the Mont Blanc massif. Piece of cake, that’s only 106 miles or so! It was the first time I’d done a long distance walk which included massive cols to cross in searing hot sunshine, snow and driving rain. It was a fantastic experience to walk through 3 countries around an awe inspiring mountain – which has of course made it onto my bucket list! my first night about 3000m on the acclimatisation trek up Mount Meru, with blood rushing in my head and surreal dreams was an experience I’ll never forget. To find that altitude didn’t affect me too badly, beyond nausea and mild headaches was a relief. If not for it being the first time I’d been at a high altitude, Kili would have been a tad disappointing – (sorry for anyone who’s got it on their bucket list). It’s featureless and desolate on the northern Rongai route and teeming with charity trekkers on the south marangu route. The day’s activities are short and filled more with sitting around eating than walking – it’s important that it is that way to ensure altitude doesn’t debilitate you, but it did leave me feeling that it hadn’t been hard enough. It didn’t challenge me mentally – and that’s the difference for me. Then a good friend suggested the GR20, the toughest trek in Europe and rated more difficult than Kili. 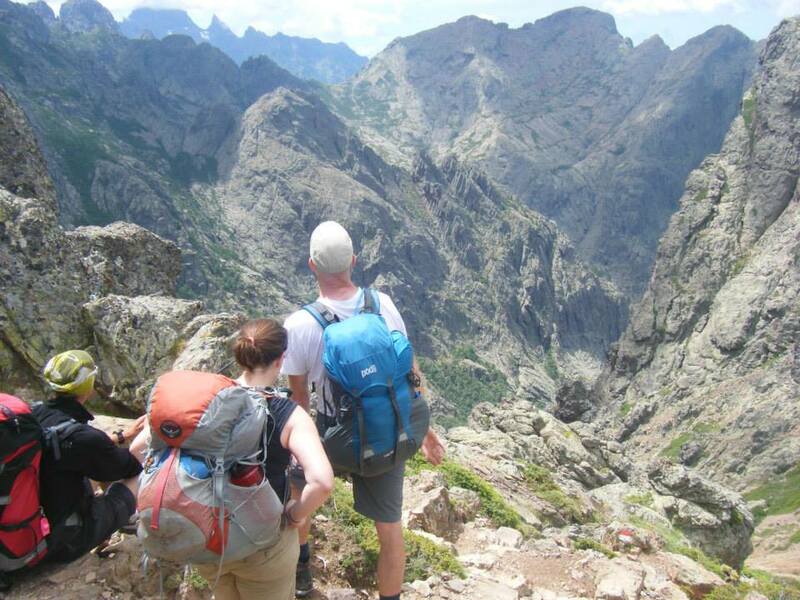 At 180km long and following the ridge line of the island’s mountains, in 2014 I completed the long distance trek in Corsica – easily the hardest trek I’ve done to date with over 1000m ascent and descent every day over walks around 15 miles a day. My knees felt shattered by the end and in the Cirque de Solitude I was nervous as hell descending vertical rocks just holding a chain. If you’re extremely fit and confident I would highly recommend it as the landscape is truly amazing and it is a feat of body and mind. I ended 2014 with a ‘proper holiday’ in my dad’s opinion, with a trip to Cambodia. Though I still managed to have a week in the jungle trekking – which frankly is on the edge of my mental endurance. Leeches are not my favourite creatures and I didn’t sleep well in my hammock as I imagined I’d wake covered in them. Physically not that demanding but mentally excruciating! Spending time with families in their communities was however an experience I’ll never forget – sleeping in someone’s home listening to the rain outside and giant beetles flying around as I lie like a starfish in the humid air under a mosquito net. I used to have a map of the world on my wall with pins in it, and whilst the map has disappeared, the urge to cover it in pins still exists. I aim to see everything I can when I go somewhere – I may not get the chance to go back and frankly the world is too big to visit somewhere more than once. It’s also made a once introverted girl much more confident and bold – I don’t care that I travel the world alone and I love the exclamations of hikers who see me wild camp alone. Because I can. My bucket list is never ending and if someone presents me with a challenge I’ll try it. I like to find the edges of what I’m capable of and push them. Because I can. The trouble with challenges is that I struggle to just say, ‘right that’s over, now relax’. I can’t climb one mountain I have to climb them all (if a list of something exists – like the munros – I’m hooked!). I can’t just climb one grade up rock I have to go harder. I can’t just walk 25 miles I have to walk further. So most of my adventures lead to new even tougher ones. Adventure for me has to push me mentally as well as physically. It has to take me to places where I learn about other cultures, and more than anything it has to take me to landscapes of amazing beauty. I love the outdoors and can’t ever imagine living in a city – Hong Kong was one of the most claustrophobic places I’ve ever been and I’d rather fly half way round the world to the jungle than to a huge forest of buildings. This all makes me very difficult to travel with! Share it with your friends so more women hear about the brilliant adventures happening everyday. Join The Adventure Declaration on Facebook or Twitter so we can have a chat about your latest adventures and chance to keep in the loop. Tell your adventure story- the Adventure Declaration is for all women with hearts of adventure and all adventures count. We’d love to hear from you. Click here to find out how to get in touch. Make your declaration to enjoy every second of every adventure! Why I crave adventure… Honoured to be first published on someone else’s blog! Great blog that brought back happy memories of my trip through the Cirque de Solitude this time 14 years ago. It was far from easy as we needed ice axes and crampons for the ascent before the Cirque and all the huts were full so ended up bivvying out in the wilds at least one night. We only did the North end and got a taxi to Porto for some relaxation on the beach. On return to the UK I discovered I was pregnant. Sally.